Controls and/or Thermostats can play a major role in the efficiency and productivity of your home comfort system. Some are programmable, allowing for greater control of energy cost while your out of your home for an extended period. Some have humidity control built in, allowing you to monitor and control your humidity levels. Some other features include an outdoor temperature sensor, which allows the controls to automatically adjust indoor humidity set-points (help avoid condensation build-up on windows); Clean filter reminders helps you keep your system clean, which in turn leads to better efficiency. Thermostats control the comfort levels within your home and can improve your systems operating efficiency, which means decreased utility cost. There are very few homeowners that spend much time when deciding which thermostat is right for their home, but perhaps they should because they can do much more that turning on and off your furnace. Ventilators are used to exchange stale indoor air for fresh outdoor air all year long. With all the energy efficient windows and doors, and tighter sealing vapor barriers, many homes are unable to breathe and release stale polluted indoor air. Ventilators allow a quiet, energy efficient exchange of stale and polluted air for fresh outside air throughout your home. In some cases a zoning system is needed to properly control the comfort levels throughout your home. For larger homes, or homes with multiple levels, zoning can be used to control the temperature in different areas of your home. A zoning system uses multiple thermostats, one placed in each zone, to read the temperature and then this reading is relayed to electronic dampers that are place inside your duct. The dampers will then adjust to allow a certain amount of circulated air through, depending on what that particular zone is calling for. If you’re looking to replace an existing electrical appliance with a gas model, or remodeling and adding a fireplace, Pharo can supply the gas. 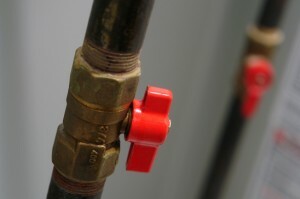 We are experienced with black pipe and flexible gas lines to provide a safe supply of gas to almost any appliance.